Chinese solar panels have taken over the whole energy world by storm, with panel prices going as low as 32-33 cents per watt in China. US and Europe have for the last 3-4 years imposed anti dumping duties on Chinese solar panels as they find that the government heavily subsidizes the manufacturers. However, this has not hurt the Chinese solar panels makers at all as they continue to expand and grow their marketshare. As per a recent report, Chinese solar panel companies have captured 9 out of the top 10 rankings of the biggest solar panel shippers in the world. The only American company First Solar will also not stay there for long in my view, given the massive cost reductions by Chinese solar panels companies like Trina Solar, JA Solar, Canadian Solar and Jinko Solar. Chinese solar panels get a massive amount of government support which keeps their prices very low. Europe and US government have found this to be true in extensive research but this does not stop the Chinese solar panel juggernaut. They have opened factories in Malaysia, Thailand and Vietnam to circumvent the duties on imports of Chinese solar panels by European countries as well as the US. The extension of trade duties on Chinese solar panels by European Union for a further 18 months will not have much of an effect, as it will only raise the prices of solar energy for European consumers. The European solar panel manufacturing industry is effectively dead and no amount of duties and penalties is going to revive it. 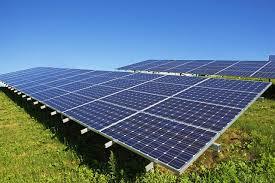 For all purposes, Chinese solar panel have captured the industry and their lead is growing by the day. Few of the companies outside the Chinese orbit such as Sunpower, First Solar etc. are bleeding heavily and a couple of them may also get shut soon. Note the Chinese solar panel industry has already bankrupted hundreds of foreign companies as they were unable to compete with the sheer size and support given by the Chinese government. The strategic industry is going to only grow bigger and bigger as solar energy prices are now cheaper than other forms of energy in most places in the world such as Italy, Spain, Germany and the U.S. Even developing countries are seeing solar power become much cheaper than fossil fuel energy and now the main problem is to integrate the massive amounts of intermittent solar power into the grid rather than worry about the low costs of solar power. Search by Tags:: Why are foreign solar companies going bankrupt?, Why do the Chinese dominate the solar industry?, Why is Europe extending trade duties on Chinese solar imports?, Why is European solar manufacturing declining?